Removing Pet Stains is merely a matter of correcting the carpets ph. A carpet starts out at a neutral ph at about 7.5. Once urine hits the carpet and dries even thou urine is an acidity it has an alkalizing effect on the carpet which is why the carpet turns yellow. Can I just wash it out. Often than not the answer to that is no. You will need a time realized acidity to slowly reverse the ph without compromising the original dye structure. Say well where can I buy this product? Well theirs the bad news you can't. 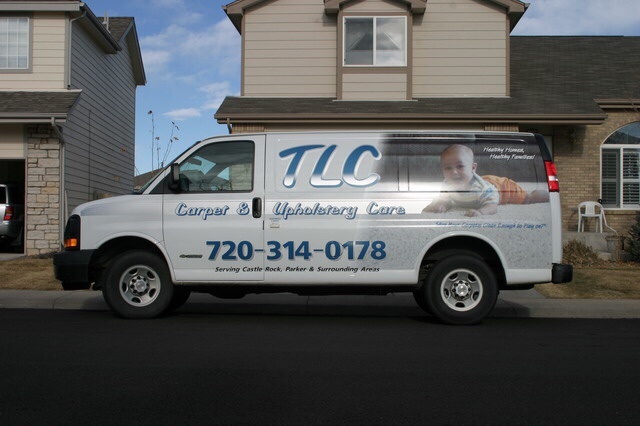 The good news that TLC Carpet Care in Parker Co has the products and is available to come to your home and clean your carpets as well as reversing theses ugly yellow urine stains. Pets are usually treated as family members by the majority of people that is why they are allowed to stay inside the house. Whether you want it or not, they do not do what the majority of family members do which would be to make use of the comfort room when needed. Pet stains are quite common in most homes specifically in the carpets. Maintaining your carpet clean and stain free all the time must be among your concerns due to a number of good reasons. Among these is the simple fact that it helps keep your house clean and healthy. Maintaining your carpet clean brings plenty of advantages to you and your family. Pet odors and stains which aren't properly tackled often linger throughout the house for an extended time period. Apart from the foul smell, bacteria will quickly set in and multiply once proper carpet cleaning procedure hasn’t been used. As being the owner of the house, it is your obligation to keep every thing inside the shelter clean and free from bacteria. The majority of pet lovers would rather go through lots of hardships simply to keep their animals with them inside the house. Of these include the constant need of eliminating pet stains from the carpet. After removing the ugly yellow stain you still have bacteria to remove. TLC Carpet Care In Parker CO has a special enzyme formula that will digest all urine properties as well as other organic material. There are numerous methods on how you can get rid of pet stains from your carpet in Parker CO. The majority of these are DIY or do-it-yourself procedures in most households. You can purchase all of the needed cleaning products on the nearest shop to get started with the stain elimination job. In case you are financially constricted, there is a cheaper alternative to most of the conventional cleaning products. You could find a number of household products which can be used successfully as cleansers. Lemons are great examples of efficient alternatives. You should be cautious on where you use them though as they can as well leave some damages. When you're someone that does not love doing the dirty works, you could always search for companies who could do the job for you. When hiring these services be sure to tell the carpet cleaner that you do have urine in the carpet so he can properly treat it.. Services are typically accomplished with flying colors due to the fact that they are utilizing the very best equipments for cleaning purposes. Whether you're the owner of the house or perhaps a renter, the elimination of pet stains from the carpet must be done as soon as possible. Pets could always be taught on where to leave their stains and waste. However, the majority of us don't have the freedom of teaching our pets. Some of us likewise don't have the money to get a trainer to teach our precious animals. If it is the case, the ideal thing to do is to either train yourself how to eliminate pet stains or save for carpet cleaning services. Whether you like it or not, pet stains are part of our lives as pet lovers.